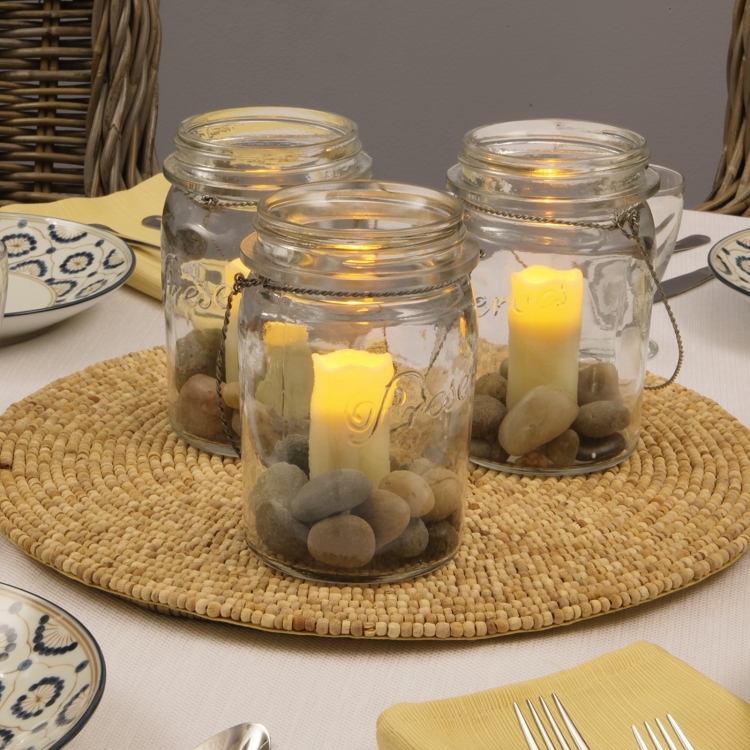 Inspired by Mason jars used to preserve homemade jams & jellies, our flameless votive holder is made of thick plated glass and has a wire handle for hanging. 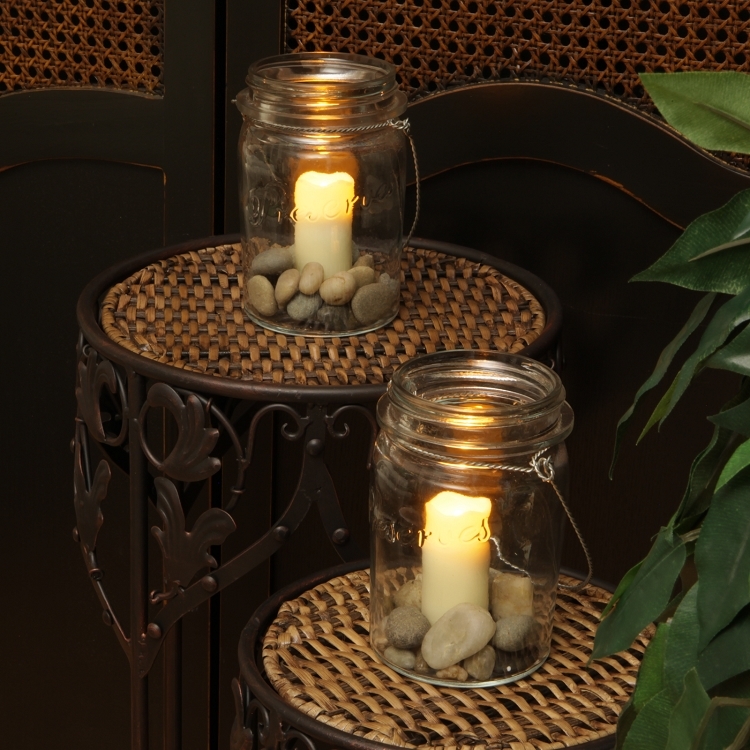 Each jar holds decorative stones surrounding a 3" ivory flameless votive. 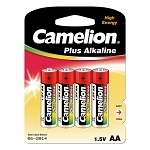 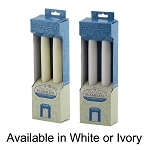 Our flameless votives include a 4 or 8 hour daily timer. 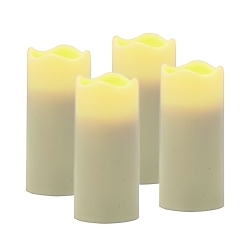 Set the timer once and the flameless votives turn themselves on at the same time every day, run for 4 or 8 hours and then automatically turn off again. 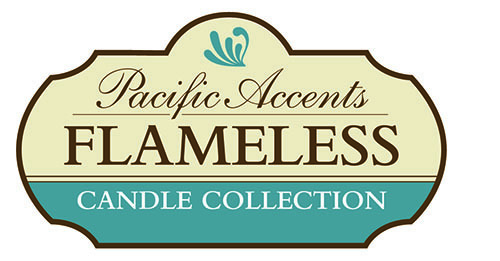 Our flameless Pacific Accents Votive candles feature a realistic melted top and are battery-powered, child and pet-safe and free of soot or wax mess. 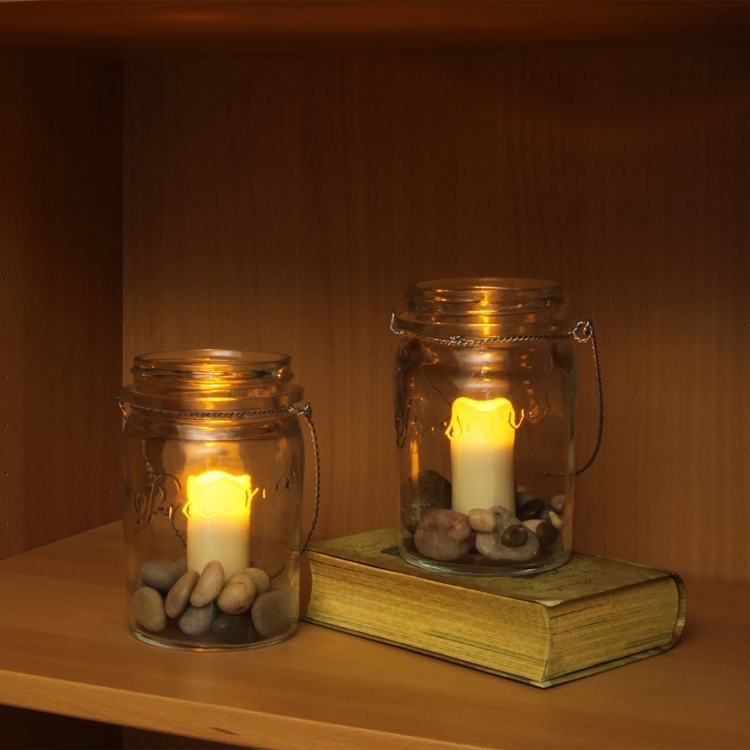 Flameless candles allow you to decorate in places previously not possible with traditional flame candles such as inside of bookcases, on window sills or hard to reach shelves. 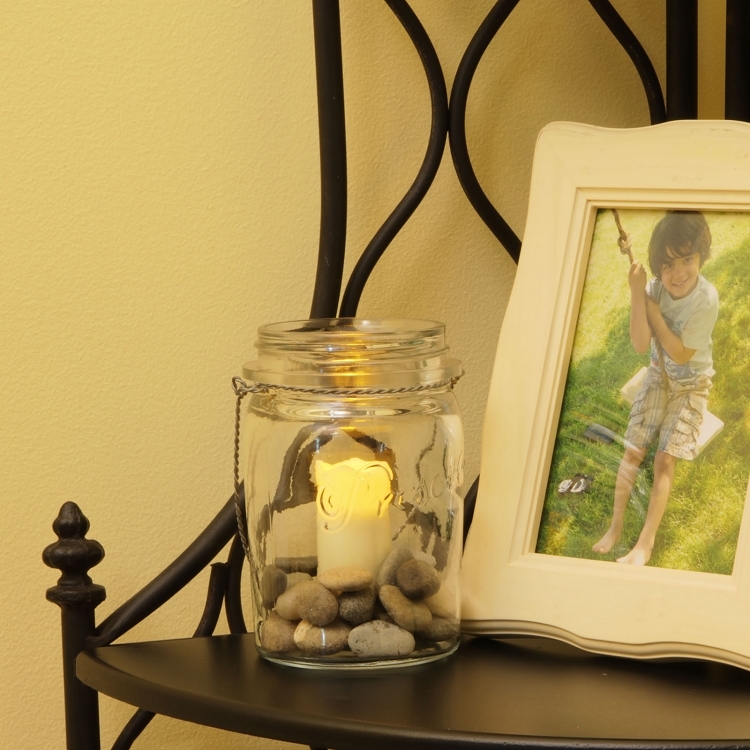 The Marmalade measures 3 3/4" x 7"; votive measures 1 3/8" x 3"; requires 2 AA batteries, (Not included). 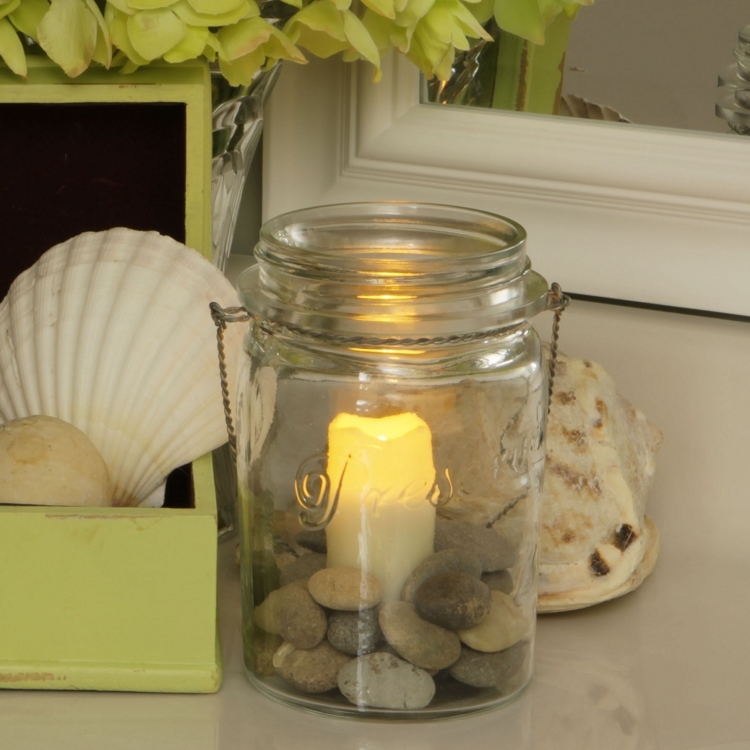 Product includes jar, flameless votive and polished stones.